Joachim Andersen is reportedly attracting interest from Old Trafford. Eder Militao has been linked with a move to England. Manchester United are being linked with a plethora of defenders ahead of the January transfer window. Today, two more have been added to the list. Manchester United boss Jose Mourinho is eyeing up Brazil international Eder Militao, the Daily Record reports. The paper says the 20-year-old Porto centre-back, who has impressed in his first season in Portuguese football, has been identified as a fit for United’s strategy of recruiting young talent. 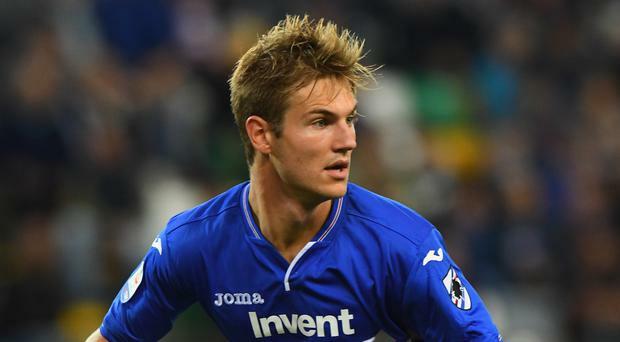 Sampdoria defender Joachim Andersen was watched by scouts from both Manchester United and Tottenham on Sunday, according to reports. The Daily Mail says Italian website Calciomercato claims both clubs are considering moves for the 22-year-old centre-back, who is rated at about £25million. Manchester City are keeping tabs on Portugal under-21 international Stephen Eustaquio, according to the Daily Mail. Several clubs are interested in the 21-year-old midfielder, including Real Betis and Sporting Lisbon, the paper says. His release clause is said to be £13.3million. Zack Steffen: Manchester City are closing in on a deal for the USA goalkeeper, according to Sky Sports News. The Premier League club are said to be hoping to strike an agreement when the transfer window opens on January 1, with reports in the USA claiming the fee being negotiated for the Columbus Crew player is between £5million and £8million. Former Arsenal and Chelsea player Ashley Cole is interested in returning to English football after being released by LA Galaxy, according to the Daily Mirror. The 37-year-old is said to have received a number of offers from Championship clubs. However, The Sun says the left-back is set to be offered a new deal at LA Galaxy on reduced terms. Paris St Germain will reportedly use their Champions League match with Liverpool as an opportunity to open talks on Brazilian international Fabinho. The Daily Mirror says reports in France suggest the side are keen on bagging a new defensive midfielder, with a loan switch a potential outcome. Ousmane Dembele: The 21-year-old is reportedly likely to stay put at Barcelona as the side have no plans to sell him. ESPN reports that the France forward has not told the Spanish side that he wants to leave in January.